Since November 2005, the SPDC has been mounting military-style assaults on civilian villages in Toungoo District, causing thousands of villagers to flee into the surrounding forests or to head for refugee camps in Thailand. To illustrate this, this bulletin pays special attention to the attack on Hee Daw Khaw village on November 26th 2005, and its subsequent destruction on November 28th 2005. For the past several months, the situation facing the villagers in Toungoo District has been rapidly deteriorating. There has been a dramatic increase in the number of State Peace and Development Council (SPDC) Army troops operating in the area and along with this increased militarization has come a commensurate increase in human rights violations being committed against the civilians living there. Over the past six months KHRG has identified at least 14 different regular SPDC Army battalions operating within Toungoo District, including Infantry Battalion (IB) #20, IB #26, IB #30, IB #39, IB #48, IB #53, IB #60, IB #73, IB #75, IB #92, IB #124, Light Infantry Battalion (LIB) #439, LIB #440, and LIB #599. A KHRG field researcher estimates there to currently be as many as 500-600 SPDC Army troops active in the district. In addition to this number are several Dam Byan Byaut Kya ('Guerrilla Retaliation') units, two Karenni ceasefire groups - the Karenni Solidarity Organization (KnSO) and the Karenni Nationalities People's Liberation Front (KNPLF), and two small Karen splinter groups - the Nyein Chan Yay A'Pwet ('Peace Group') and the recently identified Aye Chan Yay A'Pwet ('Cold Peace Group'). With so many militarily active soldiers in the region, the situation now facing the villagers of Toungoo District is a desperate one. SPDC Army battalions are regularly launching patrols through various parts of the district to seek out internally displaced persons (IDPs) and villagers who refuse to move out of the hills and into SPDC controlled relocation sites. 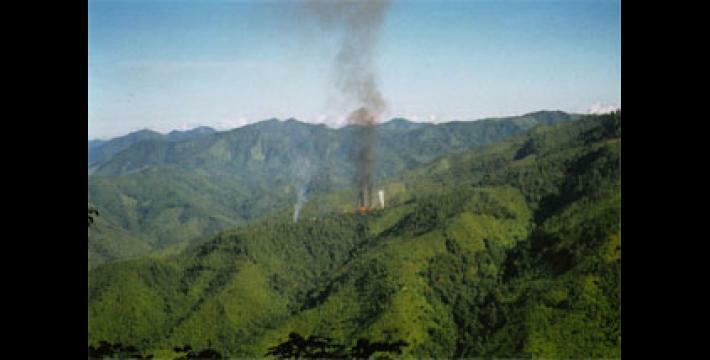 Columns of SPDC Army soldiers have swept through the areas surrounding Kler Lah and Than Daung Gyi, as well as the region stretching from Klaw Mi Der to Play Hsa Loh in Tantabin township, around Thauk Yay Ka and Htee Tha Saw in the far north of Than Daung Township, and in the wedge of land caught between the Kler Lah-Mawchi and the Kler Lah-Bu Sah Kee car roads. Patrols that have been mounted along the Karen-Karenni State frontier have been assisted by KnSO and KNPLF soldiers. On November 25th 2005, SPDC Army soldiers from Column #1 (Thaung Sein commanding) and Column #2 (Sit Naing commanding) of Infantry Battalion (IB) #75, along with a detachment of KnSO soldiers entered eastern Tantabin township in the vicinity of Sho Ser village. 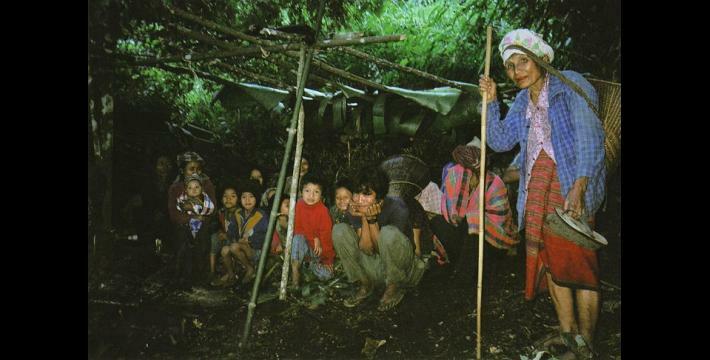 The following day, on November 26th, the soldiers captured a number of villagers from Sho Ser, including a young mother and her baby who was still being breastfed, and demanded that they show them the way to Hee Daw Khaw village. 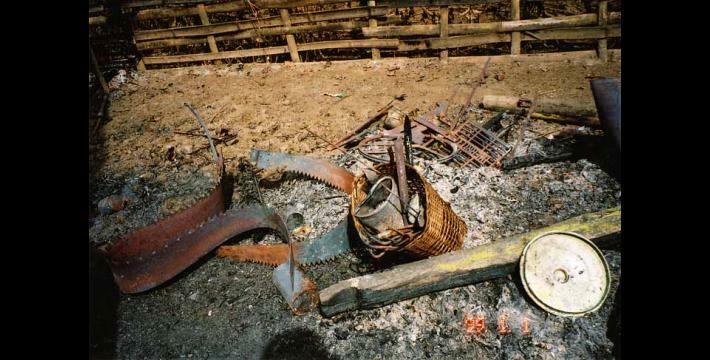 When they came within range of Hee Daw Khaw at approximately 4:00 pm, the soldiers opened fire on the village with mortars and small arms without provocation or prior warning. Startled by the sudden hail of shells and bullets, the villagers immediately ran for their lives with little more than what they were wearing. The villagers did not have time to take any food or any of their possessions. So unexpected and sudden was the attack that some villagers had even forgotten their young children in the confusion. Soon realising their mistake, these villagers had to return to the village where they risked being shot to collect their children before continuing to flee along with the rest of the villagers. At this point, all of the villagers who had been forced to guide the soldiers, with the exception of one, were released. According to a KHRG researcher, Saw Pweh, a 40 year old villager from Sho Ser village was detained after the other villagers were released and was alleged to have later been killed by SPDC Army soldiers at Tha Aye Hta. 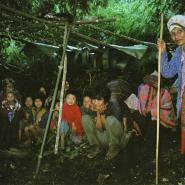 The soldiers entered the village soon after the villagers had fled and stayed there for the two nights that followed. The soldiers stole anything of value and ate their fill from the rice and the livestock that the villagers were forced to leave behind. Many of the villagers had raised chickens, ducks, pigs, and goats; all of which were either eaten, carried away, or destroyed by the soldiers before they departed. 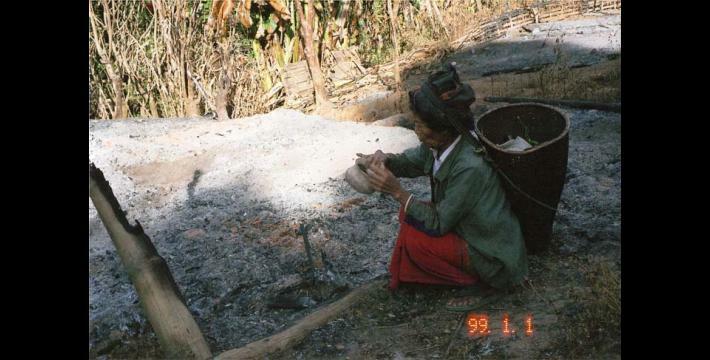 The soldiers left the village on November 28th, but not before setting fire to most of the houses, marking the second time that Hee Daw Khaw village had been torched by the SPDC (the last time this had occurred was in 1997). No fewer than 25 homes were destroyed. Of the few buildings that remained standing were the church and the home of the Christian pastor. Most SPDC Army soldiers are largely uneducated and believe in superstitions surrounding the destruction of churches or interfering with religious artefacts. These same superstitions however did not preclude the soldiers from planting landmines at the entrance to the church. KNLA soldiers in the area had intercepted an SPDC radio message in which it was stated that a total of three mines had been planted in the village. Aside from the mine planted in front of the church, another was discovered by a 75 year old villager who had stepped on it, losing his left foot in the process. Saw Htoo Lah stepped on the mine on November 30th after returning to the village and was then carried to a Karen National Liberation Army (KNLA - the armed wing of the KNU) clinic where his leg was amputated below the knee without anaesthetic using a "Leatherman" tool (a "multi-tool" similar in function to a "Swiss Army knife"). One other mine remains unaccounted for. Curiously, the mine that was recovered was a copy of the American-made M14 antipersonnel blast mine, which quite possibly had originated in Vietnam or Italy, both of whom produce these mines. Both countries are known to have sold arms and military materiel to Burma in the past and the presence of this mine may suggest that either one or both countries have resumed such practices. "The SPDC soldiers are very active so the villagers had to quickly run for their lives and were not able to take much food with them. 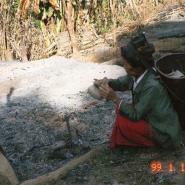 In December the villagers have had to eat rice soup with vegetables that they could find in the forest. They didn't have time to take their blankets with them, so they have had to sleep out in the cold and get chills at night. They did not dare to light fires to keep warm because they were afraid that the SPDC would see the smoke from the fires and fire shells at them. I have heard that there are more SPDC soldiers arriving and that they will continue to be active throughout summer until the rains fall [in June], so the villagers who are running away now will have to continue hiding until the rainy season. ... The weather has been unusual so many villagers have become sick. They have suffered from diseases such as malaria, coughing, diarrhoea, common cold, dizziness, dengue fever, and other diseases that I do not know the names for. The villagers who got sick would usually go to the [KNLA] battalion clinic, but now the SPDC soldiers are active so they [the villagers] cannot go to the clinic, and now the clinic also has to move from place to place because of the SPDC operations. The villagers who are fleeing to stay in the forest have no houses, not enough food, not enough blankets, and now the rain is falling and they are being bitten by insects [mosquitoes], so many of them have illnesses. Some of the elders are digging up roots and using traditional herbal medicines to treat those who are sick. These patients do not deserve to die, but some of them do without enough medicine." 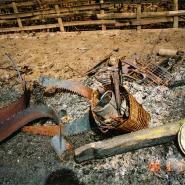 Hee Daw Khaw village is not the only village in the area to have been attacked recently. 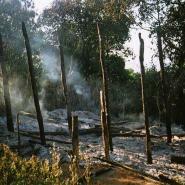 On December 5th, SPDC Army soldiers also burned Kho Kee village, a short distance south of Hee Daw Khaw. Then, at approximately 2:00 pm on December 12th, IB #73 soldiers based in Ko Day fired seven mortar rounds into Hsaw Wah Der village, only to fire another three the following morning at 10:20 am. This was followed later that same day by IB #30, based in Naw Soe, who also fired three shells into the village. 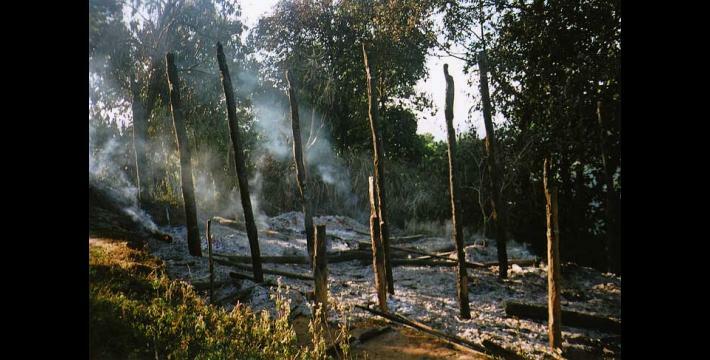 Two weeks later on December 30th, an unconfirmed number of homes were also alleged to have been torched in Klay Soe Kee village. As a result of the spate of recent attacks on villages in southeastern Toungoo District approximately 2,000 IDPs have fled their homes over the past four months. Many villages in the area such as Hee Daw Khaw, Sho Ser, Wa Soe, Kho Kee, Klay Kee, Ho Kee, Hsaw Wah Der, and Ha Toh Per have emptied as their inhabitants have fled for their lives. Approximately half of this number has fled to Thailand to become refugees in one of the camps located along the border. According to the Thailand Burma Border Consortium (TBBC), a Thailand-based NGO responsible for overseeing the distribution of aid to the refugee camps located along the Thai-Burma border, a total of 720 newly arrived refugees have come to the camps from Toungoo and Papun Districts since January 1st 2006, most of whom had fled the recent attacks. The Karen Office for Relief and Development (KORD) has commented that a further 160 IDPs have arrived at the Thai-Burma border and are now waiting for transport to be arranged to safely convey them across the Salween River and into one of the refugee camps. KORD also stated that an additional 500-600 IDPs are believed to presently be en route to the border and the relative safety of one of the refugee camps, with the majority of this number also originating from Toungoo District. KHRG researchers within the district are reporting that they do not foresee any end to these or similar attacks in the near future. 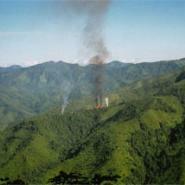 One researcher stated that he had heard that the SPDC planned on continuing these attacks right up until the beginning of the rainy season in June 2006. If this proves to be true, one can expect many more IDPs fleeing into the forests where they will be plagued by a lack of physical security, food shortages, and illness. Many of this number who, like those who have already made the arduous journey, find life in the forest too difficult to bear may risk the long and dangerous journey to one of the refugee camps in Thailand, where even should they manage to avoid detection by the SPDC and DKBA soldiers who are intent on stopping them, they risk being arrested by Thai authorities before they can even reach one of the camps.